Renee Sievert offers individual coaching, team building and strategic planning for managers and executive teams. 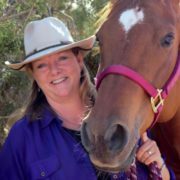 Certified as a Master Coach by Martha Beck and Master Equus Facilitator by Koelle Simpson, Renee combines empathy, intuition and powerful Equus exercises with coaching and leadership development. Renee is an author, speaker, and consultant with over 25 years of experience. She is a licensed Marriage and Family Therapist (MFT) and a Certified Daring WayTM and Rising Strong Facilitator, trained by Brene Brown. She is also a member of the Motivational Interviewing Network of Trainers (MINT) and the International Coaching Federation. She was honored in 2009 at the Tribute to Women in Industry (TWIN) awards in San Diego, CA.